~$75 for the Total Series, which includes 12 hours of audio on CD. Audio-only method. Listen to a live lesson given by a teacher with two additional students, and repeat after the teacher. Michel Thomas was a polyglot linguist, language teacher, and decorated war veteran who developed a language-teaching system known as the Michel Thomas Method. He claimed his method would allow students to become conversationally proficient after only a few days’ study, and his clients included diplomats, industrialists, and celebrities. Michel Thomas passed away in 2005, so the newer products that came on the market since then have been developed and recorded by some of Michel’s former students who were trained to teach and pass down his technique. 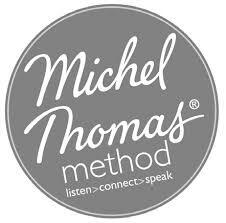 The Michel Thomas method is a cheaper alternative to Pimsleur (which is also an audio-only method), but that doesn’t mean the quality suffers in any way; it’s simply a different method. While Michel Thomas is an audio-only language learning resource, it differs from Pimsleur on a few important points. Basically, the way the method works is that Michel (or the teacher teaching the language in the recordings) and two students are recorded in a live lesson. Words and sentences are introduced with explanations, and within one hour you are expected to be able to construct simple phrases. You will learn the language with the students, hearing both their successes and their mistakes to keep you motivated and involved throughout the course. Here’s an audio sample of Michel Thomas’s “Foundation French” (Beginner), Lesson 03. Because actual students are involved in the recording, the pace of progress is realistic, and you almost feel as if you were in class with Michel and his students. Moreover, the students, at times, also ask for clarifications, for example concerning a grammatical concept or the pronunciation of a certain word, which well might be questions you have yourself in mind. The method also tends to work in a more “inductive” manner (they let you “understand” new grammatical concepts through examples, rather than tell them to you right away). So you are sometimes given several drills around a certain sentence to make you understand how the language works, and slowly by slowly sentences are getting longer and more complicated based on what you have previously learned. For example, in the Michel Thomas Spanish series, they will tell you that “Pablo is sick today” is “Pablo está enfermo hoy” in Spanish, and that “Pablo is a sick person” is “Pablo es enfermo”. So you are supposed to infer here the difference between the verb “está” and “es”, both meaning “to be,” through such examples (of course, you will have been exposed to these verbs and vocabulary prior to hearing those example sentences). Another peculiarity of the Michel Thomas method is its high use of so-called “mnemonics”, or “memory-aides” to help you acquire and remember effectively newly-introduced vocabulary. Some examples can be downright silly, but that’s the point of a mnemonic, to come up with a silly association to make it stick in your long-term memory. To give you a simple example, in the Chinese series the teacher introduces the word for “where” in Chinese, which is nǎr (哪儿). The teacher then says the following sentence: “The poor man was ‘nǎrwhere’ to be found. Where is he now?” As you can see, through this menmonic, you will quickly remember that “nǎr” means “where” (or at least it’s supposed to help!). 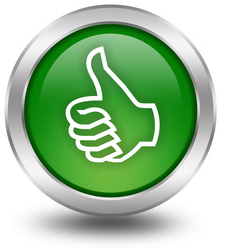 Michel Thomas is, overall, a great method that I would not hesitate to recommend. Here are some of the reasons why I like this method and why I think it’s quite efficient. The use of mnemonics is something I personally find useful. It might not be to everyone’s liking, but I find that it really does help with the memorization of vocabulary, which is often something many students of foreign languages struggle with. If you have had trouble in the past remembering new vocabulary, you might very well enjoy Michel Thomas. Since real students are involved in the recordings, the pace is realistic, and useful questions that a normal language learner might have when going through the process of learning a particular foreign language are often asked. Being an audio method, it can easily be listened in your car on your way to work, while exercising on your MP3, or even while shopping or going around the block. This is especially great if you commute by car every day to work. Rather than being frustrated and stressed with the traffic and your commuting time, you’ll have fun learning a new language and getting the language on your tongue. The most obvious bad side to the Michel Thomas method is its availability in only 12 different languages (13 if you include Hindi, which is available as a “Start” (basic) package). So, for example, if you are looking to learn Korean, you’ll have to unfortunately look somewhere else. If you are a very fast learner or you have had prior exposure to the language you’re studying, you might feel that the pace of the method is a bit slow. As stated before, since real students are involved in the recordings and they themselves go through the method with the teacher, you are tied to their pace of learning. You might also not be that interested in actually listening to the attempts of the students at repeating and translating after the teacher. Michel Thomas is an audio-only method, and unlike Pimsleur, it does not come with any Reading Component. This means you will definitely not be developing your reading and writing skills through listening to the Michel Thomas tapes! For this reason, I would definitely encourage language learners to use Michel Thomas in combination with another method (textbook-based) if you do wish to also develop reading and writing skills. 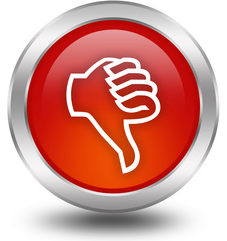 Look for my other reviews to pick one that will suit your needs!